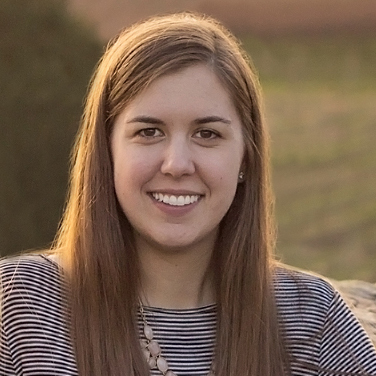 This spring, Elizabeth Ritch joins the GreenBlue team as a project associate focused on the CleanGredients program. Elizabeth comes to GreenBlue from Ramboll Environ. Learn more about Elizabeth in the interview below. Growing up in southern California, I was surrounded by the contrast between beautiful natural areas and suburbia, which inspired my interest in environmental issues. 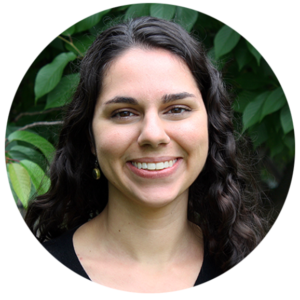 I first moved to Charlottesville for college, where I studied the intersections between sustainability, science, and society, and graduated from the University of Virginia in 2010 with a BA in Environmental Thought and Practice and Physics. After graduating, I worked for five years as an environmental consultant with a primary focus on evaluating environmental issues in the context of mergers and acquisitions. This gave me a great opportunity to learn about how industrial stakeholders think about environmental risks, compliance, and sustainability. I am excited to be back in Charlottesville to put that experience to use in the CleanGredients program! As modern Americans, we are some of the most privileged people in the history of the planet. I believe we have an obligation to use our position to ensure that future generations can live as well as or better than we do today, without irreparably damaging the world that sustains us. I chose to live near the GreenBlue office in downtown Charlottesville, so I am able to walk to work and leave my car in the garage. Being outside on a beautiful summer day!